We had a great visit here. Yes, you can walk to the town center, but your keyfob has the phone number of the taxi, so you can stay dry. The coffee at breakfast was wonderful and our host delightful. I would visit Kilkenny again just to stay at Launard house. Staff were lovely, service excellent. V clean room and pool area kept very well. 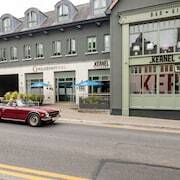 Where to find Kilkenny hotels near an airport? 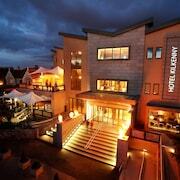 Where can I find hotels in Kilkenny that are near tourist attractions? Taking a trip to Kilkenny? 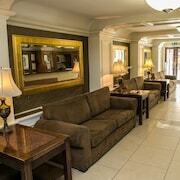 Looking to reserve a hotel or apartment within a short drive from downtown Kilkenny? 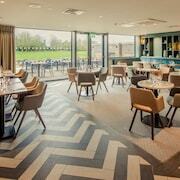 Within a 6-mile (10-kilometer) radius of Kilkenny, you'll discover 8 quality hotel options from which to choose. Like to find a bed close to the action? 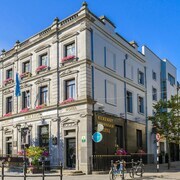 The Pembroke Hotel and Kilkenny Ormonde Hotel, are located 0.6 miles (1 kilometers) of the downtown area. 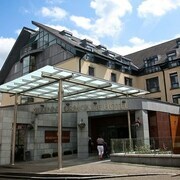 Accommodation options near the Shee Alms House are the Newpark Hotel and Kilkenny River Court Hotel. If you'd prefer to find a place near the Tholsel, you should book accommodation the Newpark Hotel and Kilkenny River Court Hotel. The Mount Juliet can be found 9 miles (14 kilometers) from the heart of Kilkenny. 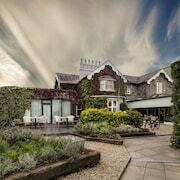 Alternatively, the Lyrath Estate Hotel Spa & Convention Centre is positioned 2 miles (3 kilometers) away. The Aspect Hotel Kilkenny as well as the Abbeyleix Manor Hotel are two more Expedia-listed Expedia-listed accommodation options in Kilkenny. After you have thoroughly explored Kilkenny, why don't you explore a little more of the region? The Southeast Ireland region has plenty of things to offer tourists. Visit Southeast Ireland's ruins or photograph the area's beaches. Fun-loving travelers may also enjoy mountain biking here. Kilkenny features some terrific cultural and scenic attractions; discover more at Expedia's up-to-date Kilkenny travel guide. 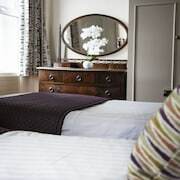 What are the most popular Kilkenny hotels? 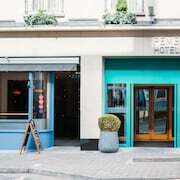 Are there hotels in other cities near Kilkenny? What other types of accommodations are available in Kilkenny? Explore Kilkenny with Expedia.ca’s Travel Guides to find the best flights, cars, holiday packages and more!